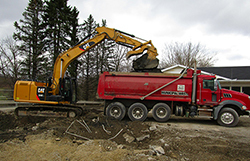 Full service project management capabilities for compliance with the Pennsylvania Land Recycling Act, Storage Tank Corrective Action process, the West Virginia Voluntary Remediation Program, Uniform Environmental Covenant Act Programs, as well as the standard WVDEP enforcement path. 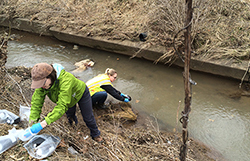 Programs, as well as the standard WVDEP enforcement path. 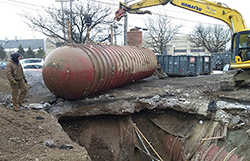 Underground storage tank (UST) / Aboveground Storage Tank (AST) installation and closures. Corrective Action Plan preparation and implementation for soil, water, and vapor. In-situ soil and groundwater remediation (biological and chemical). Groundwater fate and transport modeling. LPH recovery and dual phase extraction. Emergency spill response consulting and oversight. CORE is an experienced provider of GIS services to the environmental remediation and oil and gas industries. Our GIS specialists have extensive experience in all phases of the GIS life-cycle. Our professional staff routinely combines traditional civil engineering, landscape design, survey and environmental/ecological variables through the manipulation of state-of-the-art GIS software to produce a wide variety of deliverables that provide clients with a comprehensive view of their geo-spatial situations. Our understanding of customer needs assures the highest quality standards in spatial data management. CORE’s geologists and environmental scientists are ready to meet with your staff to handle all of your water management service needs. With in-house experts in all aspects of planning, permitting, engineering, and project development capacity, the CORE team shall provide you with complete state-of-the-art tools, technologies, and techniques to bring your projects to completion. CORE is currently providing comprehensive, strategic water management planning that address source water options, water storage and transportation studies, flow-back and produced water treatment, recycle and disposal alternatives, and holistic water management lifecycle costs for multiple well fields in the Appalachian Shale plays.